I got my start in photography a little over a decade ago when I went on a week-long vacation to Puerto Rico. I had bought a little point-and-shoot camera for the trip just to document things here or there, but photographing everything quickly became my obsession. Once I got back I started photographing my surroundings, which in Maine meant spending a lot of time in the woods and on the coast. Now, 11 years later, I have turned my passion from a hobby into my livelihood and I want to share my love for it with others. The best way to capture the true essence of a landscape is to immerse yourself in the elements. That means getting close to crashing waves, enduring blistering wind and snow to capture a mountain peak, or lying on your back in a field to get the perfect angle on spring wildflowers. 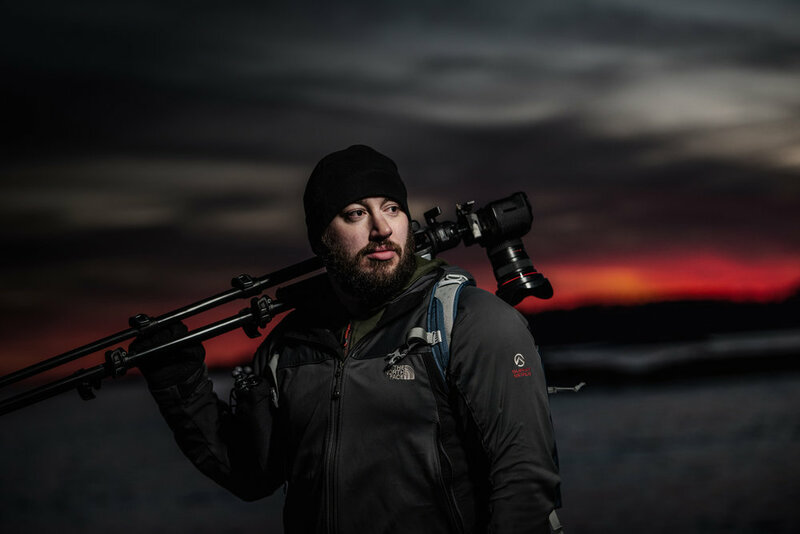 Matt and I founded Due North Photo Expeditions because we share similar beliefs on photography and want to show others how to find that passion and vision within themselves.